What can we do where there is a violent response to the gospel? There isn’t always something that we can do. Sometimes we are helpless bystanders. In the 20th century more Christians were martyred than in the previous 19 centuries combined. That doesn’t mean that should be silent. Our God calls on us to fearlessly proclaim his message of grace in Jesus. In Acts 16 we find the Apostle Paul casting a demon out of a slave girl. The girl’s owner had built a business around her fortune telling abilities. This girl followed Paul and his companions around the city calling out, “These men are servants of the most high God.” Paul casts out the demon and the girl’s owner was out of business. 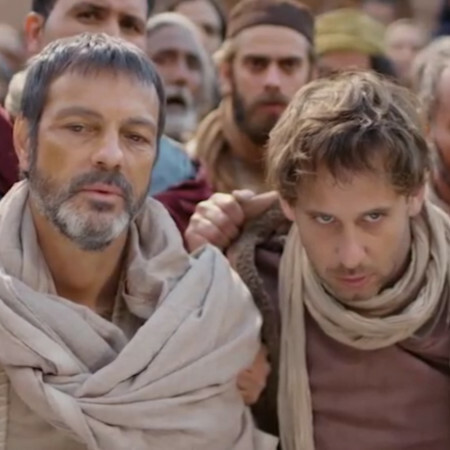 He gathers a mob and pulls Paul and Silas before the local authorities. Paul was not given a trial even though he was a Roman citizen. Instead he was beaten and flogged. People often died in the ancient world from this experience. There were no antibiotics. And infected wound meant death generally. Paul didn’t get a chance to defend himself. He was simply beaten. If you are reading this post in the USA – the chances are very good, as long as you stay in this country, you will never know what Paul went through. I think it is helpful, if not sobering, to point out that sometimes when we witness our faith in our savior, the reaction can be extremely bad. Again, not so bad that our lives are in jeopardy, but you would not be the first Christian to lose a friend over what our God says in his word. I long for the day when our struggle will be over and all will bend their knee before the King of the Universe, Jesus. Want to hear more? Watch this week’s Bible study taken from our video series: Ends of the Earth – Violent Response.